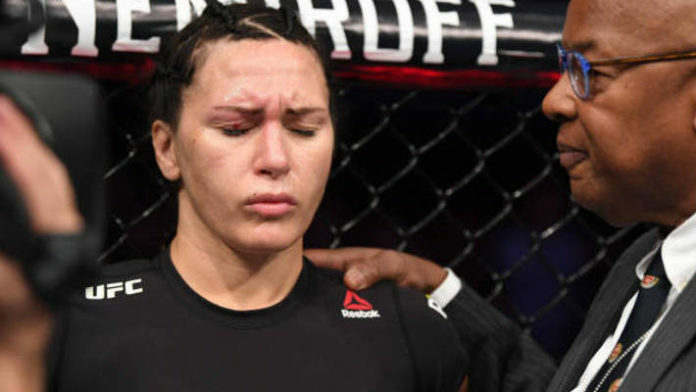 Cat Zingano hopes to have her UFC 232 defeat overturned. Zingano took on Megan Anderson on the preliminary portion of UFC 232. “Alpha” vs. Anderson was expected to serve as a pivotal match-up in the UFC women’s featherweight division, but it was over before it really got started. Anderson threw a high kick and her toe caught the eye of Zingano. “Alpha” immediately stopped engaging and referee Marc Goddard called a halt to the contest. Anderson was awarded with the TKO victory. Do you think Cat Zingano has a chance to get the UFC 232 result changed?